Flex-a-Lite Stainless Steel Flex Fan with premium silver finish. Flex-A-Lite Flex Fans move considerable air at idle and the blades flatten out at higher engine RPM to reduce engine drag for better performance and improved fuel economy. Flex-A-Lite was founded in 1962 with the original Flex Fan concept. These Flex Fans became the standard for engine-driven cooling fans, combining good looks with high efficiency. 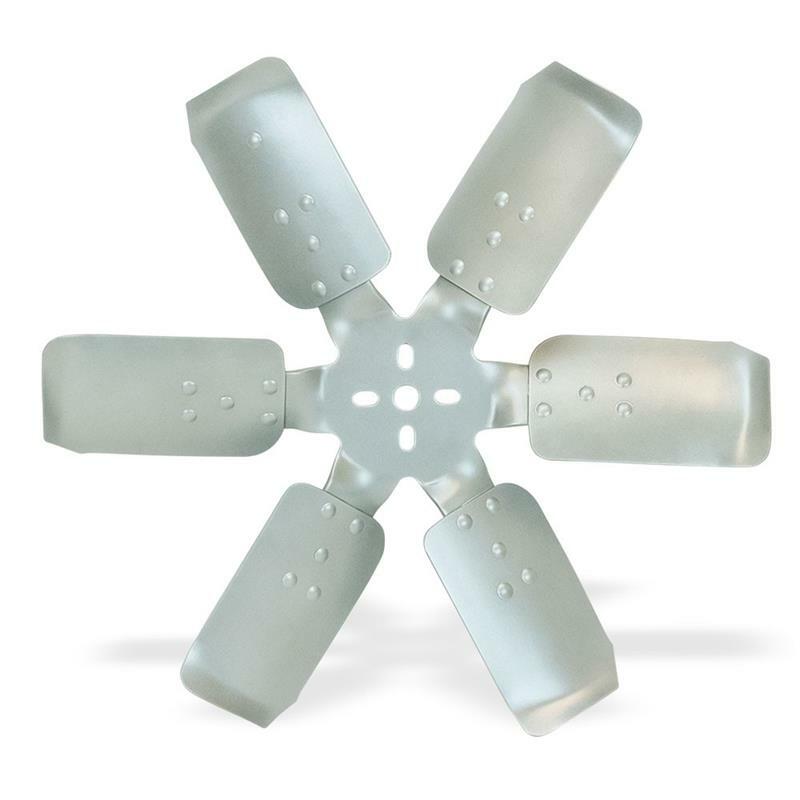 Flex-A-Lite has made continuous advancements in Flex Fan technology and design, and the latest innovation is a premium, high-tech silver coating which is more durable. This is a specially formulated silver coating that Will not degrade or lose its luster in the harsh environment of an engine compartment. The silver finish also means that the fan will look great under the hood, regardless of the color of the engine or engine compartment. Available in Standard or Reverse Rotation.